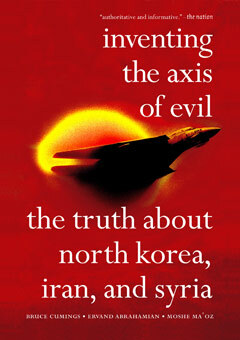 Ever since the “axis of evil” label was first applied by President Bush in his 2002 State of the Union address, the hawks in his administration have left little doubt as to where they intend to turn their attention after Iraq: North Korea, Iran, and Syria. Yet most Americans know very little about these three countries beyond what the Pentagon has told them. For those wanting to know more about “who’s next,” this “timely exposition on global (in)stability” (Korean Quarterly) by three leading experts on each country sets the record straight, confronting relentless fearmongering with hard facts. The authors explore each country’s history and internal politics alongside the spotty record of past U.S. interventions, including the Korean War and the CIA-sponsored overthrow of Iran’s elected prime minister in 1953. As one reviewer pointed out: “The most important thing we know about Syria is that we really don’t know what’s going on in Syria” (Slate). While entertaining no illusions about these despotic regimes, Inventing the Axis of Evil demonstrates that the truth is far more complicated than some would have us believe.